Although he isn’t strictly Christmas, I bet Wilson A. Bentley (1865-1931), the first man to ever photograph a snowflake, would have loved the wet snowfall yesterday. The snowflakes were huge, ideal conditions for studying the hexagonal ice crystals. I stumbled across a short documentary about him when I was looking for more paper snowflake crafts. 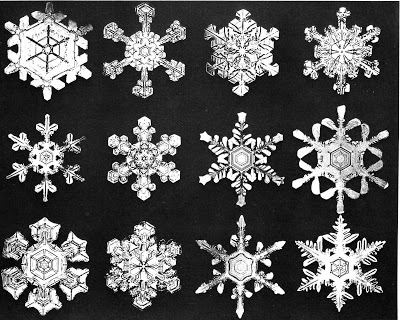 His obsession with capturing the snowflakes on his Vermont farm required a unique rig of a microscope attached to one of the first cameras. This type of photography is called “photomicrography.” In his lifetime, he took photos of over 5,000 snowflakes, one at a time–in a place where there snowfall averages 120 inches a year, I guess he really loved snow. As the flakes fell from the sky, he caught them on a black velvet-covered tray. Then, he pushed them into position with a chicken feather so he could photograph each one. The Jericho Historical Society was established in 1972 to preserve Bentley’s life and legacy, and this year they celebrated the 150th anniversary of Wilson Bentley’s birthday. 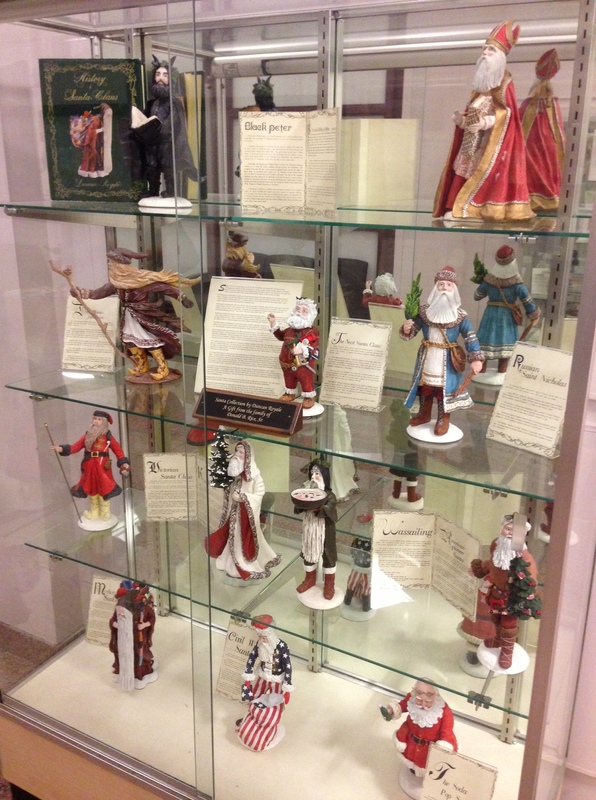 In conjunction with the historical society, there are authorized snowflake gifts for purchase. 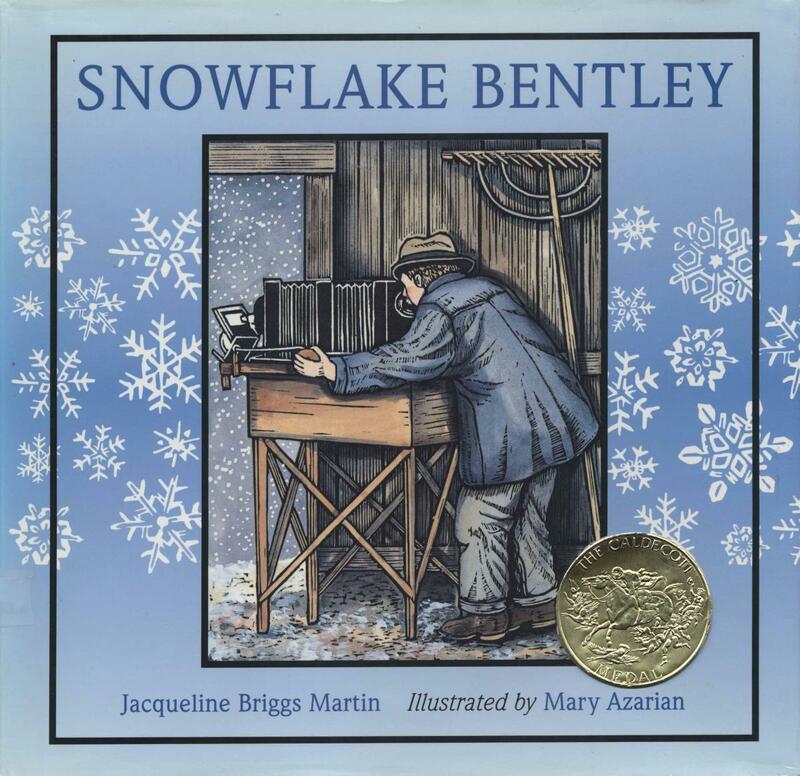 One way to learn more about this remarkable man is to read about him.In 1998, Jacqueline Briggs Martin and illustrator Mary Azarian published Snowflake Bentley, based on the true story of his life. Azarian won the 1999 Caldecott Medal for her illustrations. I would like to buy a copy of this book for my grandson. We love “spiriments,” and I can imagine he and I would be out in the cold trying to gather snowflakes to photograph. The photos would make beautiful Christmas cards or winter thank you notes. Watch out. . .I’m cooking up a great idea. . . and from the weather report, it looks like we might have our photo opportunity this weekend. Fingers crossed! 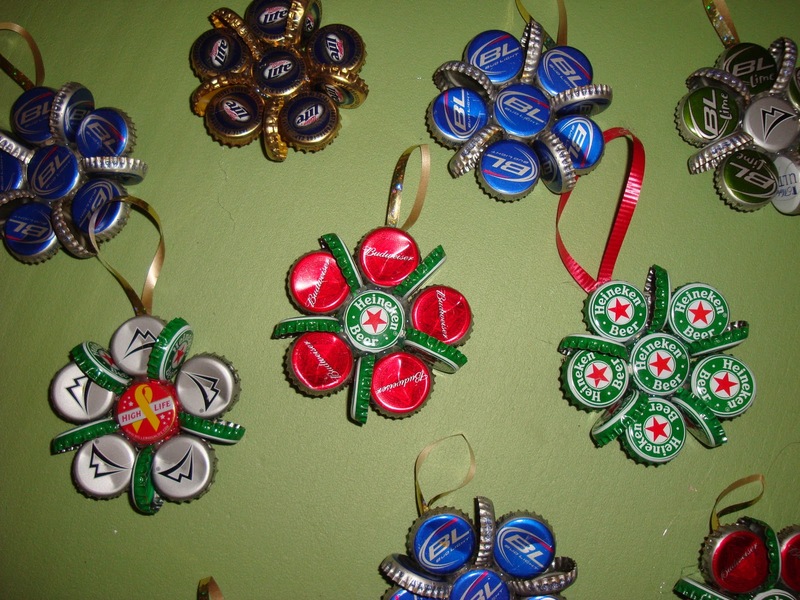 Need a Little Christmas? You can have a piece of 2013. Noah’s grandmother Christine is the first to decorate the day after Thanksgiving, and she is also the first to pack her decorations, just hours after December 25. Holiday lights, train, and other displays are disappearing, many ending with the new year, often around the 12th day of Christmas, January 5. Until January 12, you still have time, though, to witness one of the best gingerbread displays in America, Gingerbread Lane, at the New York Hall of Science in New York City. This gingerbread display, designated as Guinness World Record Holder, is celebrating its 20th year. It is the handiwork of one man, chef Jon Lovitch, and he works all year to build his sugar-coated creations. Here is a great New York Daily News article that includes several videos demonstrating the construction process. 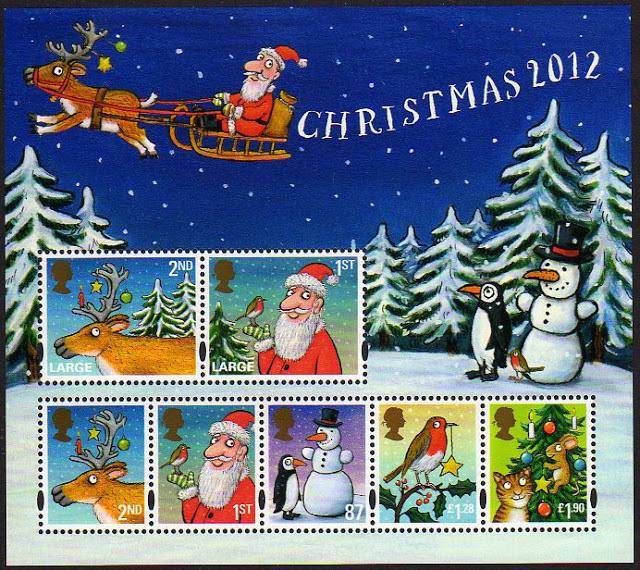 What I like best about Lovitch is that he has a PLAN that puts The Yule Log 365 to shame. Here’s his annual timeline–and Lovitch does all of this while holding a full-time job! On January 12, Lovitch disassembles the village and gives away the individual parts—houses, trains, and other confections. The give-away begins at noon–bring your own cardboard box. 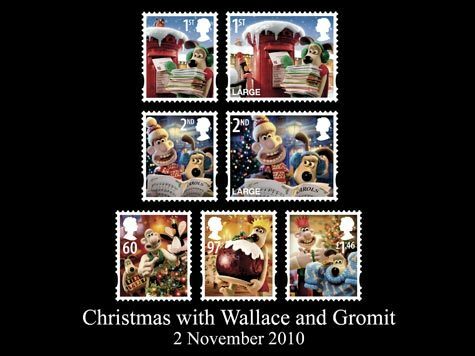 As much as I embrace Christmas, I do not embrace all of Christmas–the really odd, the grossly commercial or the genuinely creepy. 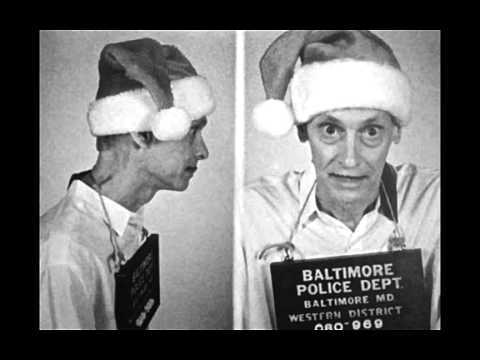 I tend toward traditional Christmas carols, Advent wreaths, and midnight Mass; therefore, despite the fact that we are practically neighbors (we live in the same Baltimore metropolis), I don’t think I will ever receive a John Waters annual Christmas greeting–I’m not on his A- list of 2,000 recipients. Waters, who is famous for writing and directing Polyester (1981), Hairspray (1988) and Cry Baby (1990), has thrown a holiday party the weekend before Christmas for the last 50 years (according to an interview with The Baltimore Sun). I’m not on that guest list either. I’d love to experience the weirdness, just once. I have a better chance at seeing his one-man Christmas show, which toured 10 major cities this year, finishing at the Baltimore Soundstage on December 19 and 20. If you find Waters’ irreverent humor, well, humorous, check out some of his past Christmas cards and a link this year to the Baltimore Sun Magazine‘s photo gallery of Waters’ Christmas decorations. 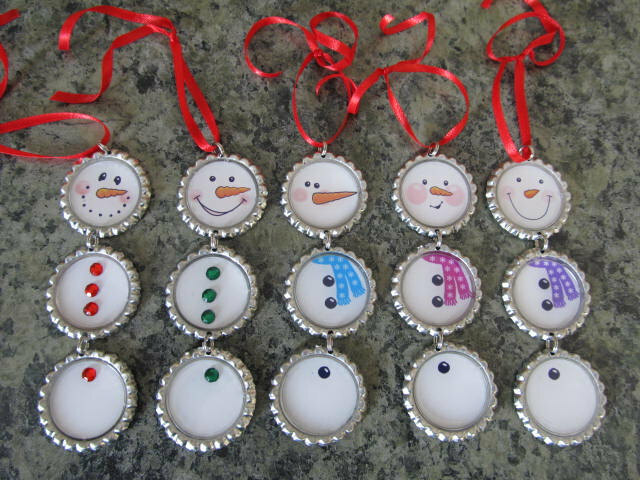 We had a snow day today, so I was able to do more Christmas preparation than usual. 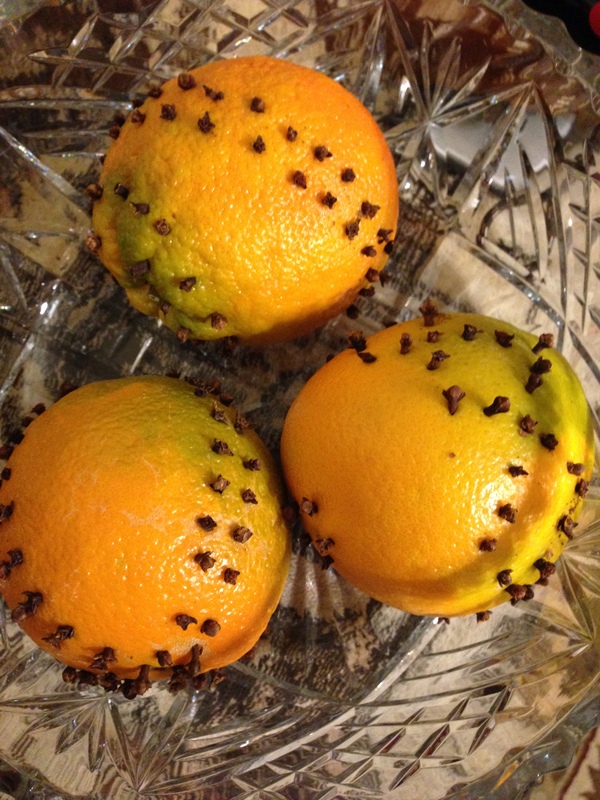 At the grocery store, we bought oranges and cloves so that I could make some clove orange pomanders to celebrate the season. Clove orange pomanders have a long history back to the Middle Ages, when people carried pomanders made of silver, gold, wood, or other material, enclosing a mixture of spices, the scent of which would ward off unhealthy odors and illness. A woman might wear this item on her waist, suspended by a chain. There’s an excellent website that illustrates types of pomanders during the Medieval and Renaissance periods. By Jane Austen’s time and during the Victorian Era, exchanging clove oranges became customary during Christmas and the New Year. This website discusses the historical significance and gives excellent directions for making them at home. The Wartski family firm in London sells fine jewelry and objets d’art. They have several beautiful examples of pomanders, including a silver segmented one that is so beautiful (and, probably, so valuable). 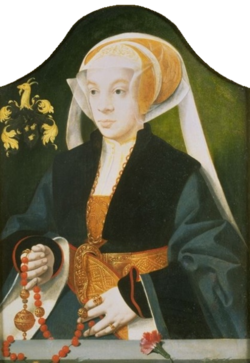 This 1547 painting is featured on an antique jewelry website. I wonder if I could begin a collection of pomanders–I should stick to oranges (although cloves can be an expensive purchase). A word of caution. My oranges need ribbon and more cloves. I think I should have used smaller oranges with rinds that were not quite as thick. I wound up with Band-aids on both thumbs because whole cloves are sharp, and it takes a little effort to pierce the rind of the orange. Also, if I had used ribbon first, I would have had a natural line to follow. My patterns leave a lot to be desired. One year L’Occitane en Provence sold a clove-orange scent in candles, lotions and hand cream. It must have been a holiday scent because I was given the shea cream as a gift, and when I went to the store to buy more, the scent was discontinued. If you know of somewhere else that sells this particular scent, let me know! For me, the smell of clove oranges and Christmas are tied together. Sure enough, just when I “need a little Christmas” I find it at Frederick Community College while I’m searching for a lab in the library. 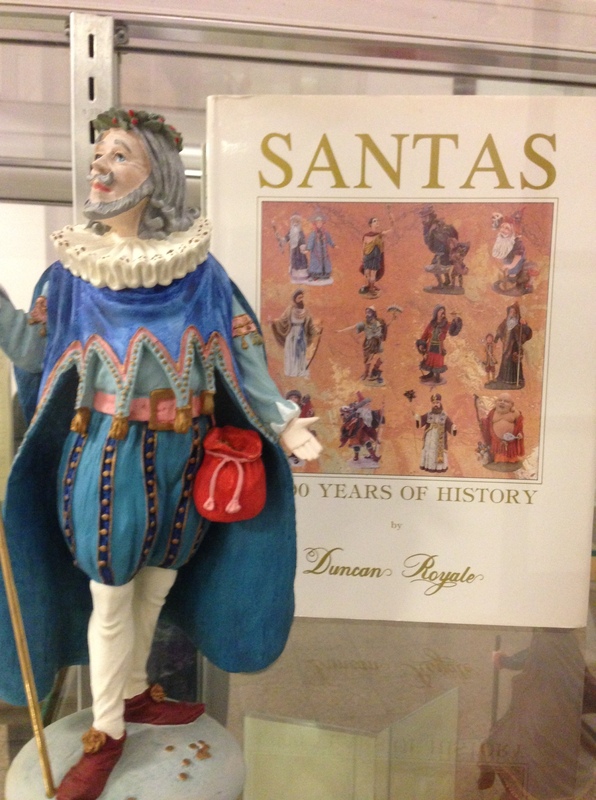 In the main hallway on the first floor, there are two showcases of Duncan Royale Santa figurines gifted to the college by the family of Donald B. Rice, Sr. The figure of “Black Peter” caught my eye first because of Jeremy’s explorations into the topic. The “Sir Christmas” is my favorite. There is little that I could find explaining the background of these collectibles, produced in throughout the 1980’s and early 90’s. With limited production, they are now traded at increasing prices from $150+ per figurine. 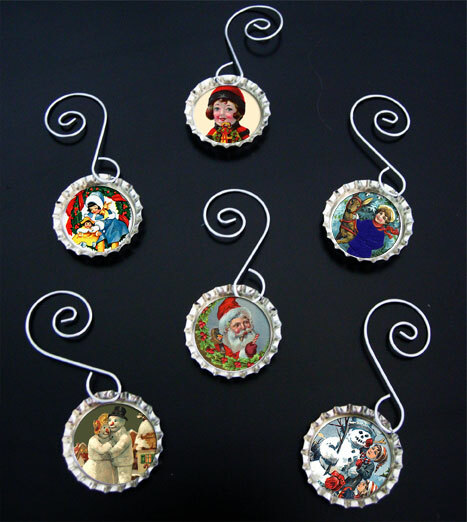 This link to Christmas Treasures will give you a look at the entire collection. 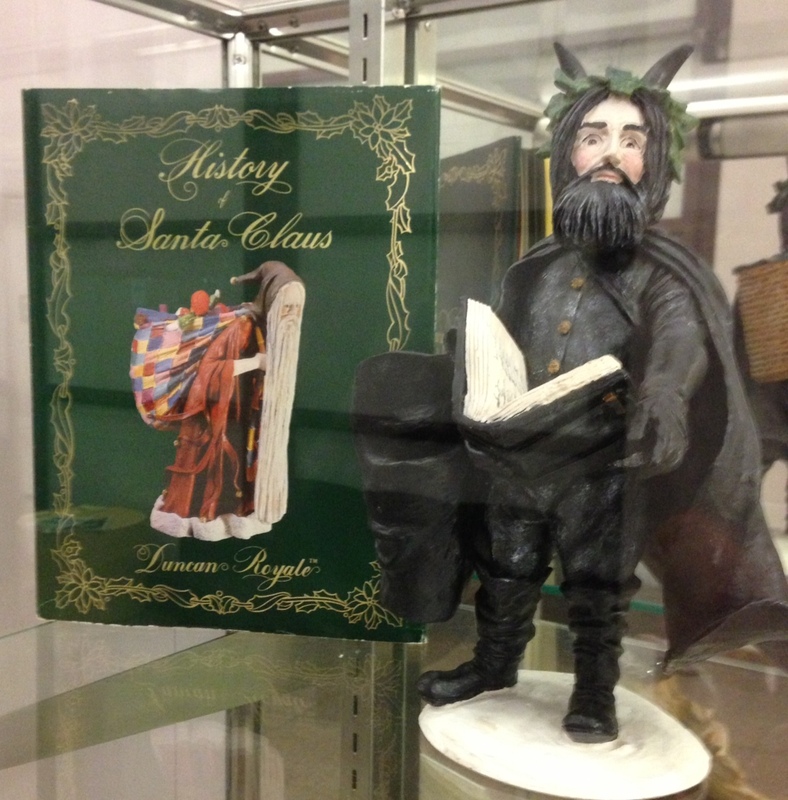 The display included two books about the Christmas series, so I think my next step is a visit to the local library.